I am working on a client requirement where I have to create List Workflows for O365 - SharePoint Online websites. When I try publishing the workflow, I get an error which says - unexpected error while publishing workflow. The workflow actually does not have any errors which may forbid it from being published but still I am getting this error. I have researched a lot on this but have not managed to get any fix for this. 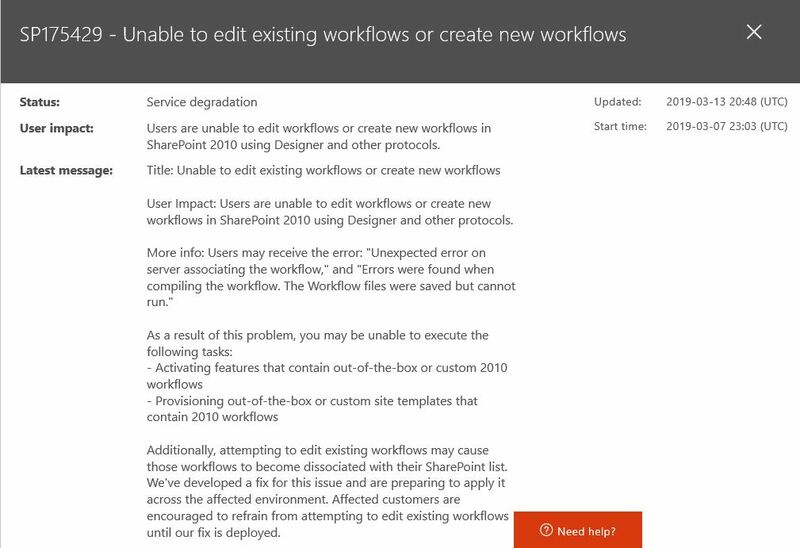 "SP175429- Unable to edit existing workflows or create new workflows"
That users are unable to edit workflows or create new workflows in SharePoint 2010 using Designer and other protocols. You can check the status about this issue via service health. Please check the complexity of the workflow. Here is a link where you can find the Powershell script to check it. If the complexity is more than 7000(default threshold for SharePoint online), you may need to split the workflow. Ensure that all the workflow related features are enabled in both the site collection level as well as site level. Not the answer you're looking for? Browse other questions tagged sharepoint-online sharepoint-designer workflow or ask your own question. 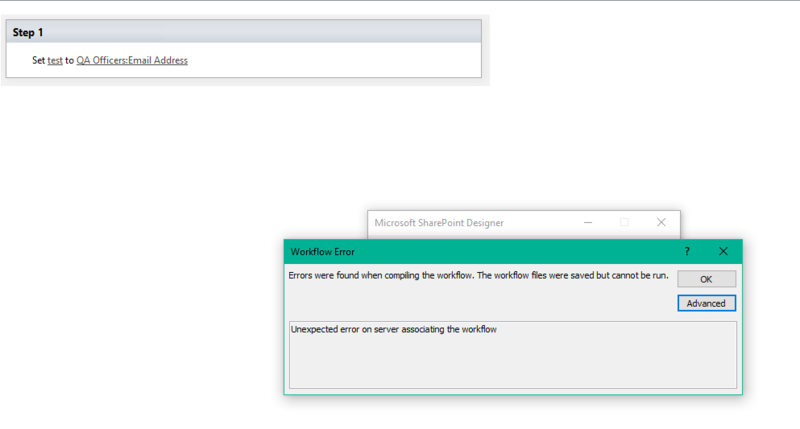 Workflow Fails to Compile and Publish in SharePoint Designer 2010?